TILES CARRELAGE - Established in 1984, MEHTA GROUP has grown steadily in various industries ranging from agro products, Electronics, Ceramics. Our first company name was “ Mehta sales Corporation”. Which was tremendous success for our group. With decades of hardwork and dedication we have developed “TILES CARRELAGE PVT LTD”. We are recognized for exquisite new collections which bears the exceptionality of high definition digital printing. We have quality since long and for eternity, We believe in uninterrupted modernization and consolidation of service, We are in compliance with international standards certified by ISO 9001:2015. Our excellent brand image and our strong distribution network enable us to make presence to major continents of the world in short span of time. Our corporate office is located at S.G highway Ahmedabad, Gujarat, India. Our Group has been managed by young entrepreneurs under the guidance of Our Founder & Director Mr Mukesh Mehta, Who have an esteemed knowledge of industry. 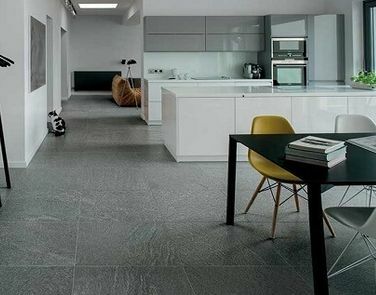 We are offering wide range of Digital Wall Tiles, Polished Porcelain Tiles with unique designs with eye catching shades as per customer’s requirements. The manufacturing unit of the company is equipped with latest machinery, supported by competent and hardworking skilled technicians, chemist & workers who develop new products of highest quality at competitive prices. Committed to deliver only the best quality product that matches international quality norms, we believe in quality rather than quantity. Thus Tiles Carrelage Pvt Ltd has created a unique identity through its compact yet premium range. We are complete service provider for the customer, catering best quality material.